The BSW team operate a boiler repair service in Horsham and across West Sussex. With over 3000 new installations each year, you can trust in our expertise. 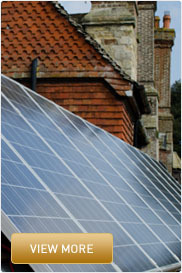 BSW is a locally based business that specialises in providing both homes and businesses across Sussex and the South East, including areas such as Horsham with central heating and renewable energy solutions. Established in 1962 BSW has since built up extensive experience in the local area providing central heating solutions as well as a range of boiler repair and maintenance services, giving you confidence in our quality and practical approach to the service we provide. Whether you require support when dealing with a problem in your plumbing or central heating system, or you are considering switching to a more reliable means of renewable energy, the qualified technicians at BSW provide sound, invaluable advice. Our team is fully qualified as MCS accredited engineers and can carry out a number of services. BSW was established in 1962 with the purpose of providing a comprehensive range of after-care and maintenance services on central heating systems and renewable energy installations across the South East. Over the years we have built up plenty of experience and are subsequently recognised today as one of the leading providers of central heating, boiler repair and renewable energy system installation services in the South East. We have many years experience working with Gas, Oil and LPG Systems and provide essential advice related to suitable alternative renewable energy solutions for your property. With 50 years experience in the field, you can count on us to make the most of state of the art technology and the very latest installations to guarantee a highly efficient central heating system for your home. We do everything we can to help our customers reduce their carbon footprint by switching to a far more efficient renewable energy system. Our technicians will meet with you and discuss the best renewable energy system for your property and budget. The Renewable Heat Incentive was launched on the 9th April 2014 and offers a beneficial incentive to install renewable energy systems in the domestic environment. It is the world’s first long-term financial support program for renewable energy and provides support in the form of payments provided for renewable energy generated by various systems. These systems include ground source and air source heat pumps, biomass and solar thermal energy. If you were thinking of switching to a renewable form of energy, then speak with BSW as our qualified technicians can guide you through the process, as well as suggesting a means of renewable energy which would most benefit the needs of your property type and budget. BSW encourages customers wherever possible to invest in renewable energy systems, to help customers reduce their carbon footprint using state of the art technology. BSW Provides all customers with a range of services including central heating supply and installation, boiler repair and maintenance and supply and installation of renewable energy systems such as air source heat pumps. We have a dedicated department that covers boiler repairs, maintenance and servicing, with fully qualified engineers on hand to assist with fixed price service schemes for all types of central heating. With over 50 years experience providing central heating and renewable energy solutions to private properties and businesses across the South East of England including Horsham and the surrounding areas, you can be confident in BSW’s level of professional service. For more information on the types of central heating services we provide, or for maintenance and support, please call us on 01444 831138. You can also email us with any queries you may have at sales@bsw-bs.co.uk and we will get back to you. We look forward to hearing from you soon.